If your company has to allocate a large chunk of the repair budget for roof issues every year, maybe it is time to call Miles at Galla-Rini Roofing at (714) 244-6567 and get a fresh evaluation and plan for all of your roofs. We often find empty tar buckets when we evaluate a roof. This is a sure sign that the roofing contractor didn’t know how to repair your roof permanently or maybe they didn’t want to. Many companies look at your problem as a source of continuous income. We don’t operate that way. Be accessible by phone and provide same day evaluation of all roof leaks or other emergency roof issues. Provide prompt estimates and value based options for all roof repairs and roof replacement projects. Roofing leaks and other issues will only get worse if they are not addressed. Most often you will need to understand the timetable, budget and potential and in most situations you need your commercial roofing company to get you the answers quickly. Have you had it with unrelenting leak issues that no one seems to be able to fix? Do the ceilings in your facilities have ugly stains? Are you worn-out by the angry calls from tenants or employees complaining about persistent roof problems? If you answered yes to any of these questions, you probably aren’t happy with the responsiveness or the performance of the commercial roofing contractor you are using now. The Facility Managers and Building Owners we work for appreciate our no-nonsense approach. We provide clear concise proposals with realistic options that work within your budget. We won’t milk the same problem by putting a temporary fix on a problem that can be solved permanently. Galla-Rini Roofing is a commercial roofing company and it was started in 1990. Our professional reputation of integrity and dependability in the Orange County commercial roofing business is based on attention to detail and responsiveness. Many of our clients appreciate the versatility of the elastomeric coatings we use for roof repairs and whole roof restorations. Elastomeric coatings can be highly reflective to save energy, Title 24 compliant and they form a seamless acrylic or rubber membrane for excellent leak protection. A whole roof restoration using elastomeric coatings is a cost effective alternative to replacing an existing roof. Skylights are often a source of leaks. We have extensive experience repairing and replacing skylights. We provide a one-stop complete repair so our clients only need to deal with one roofing contractor. We provide these related roof repair services: skylight framing, dry rot repair, AC platform construction and beam replacement. Our professional reputation of integrity and dependability in the Orange County commercial roofing business is based on attention to detail and responsiveness. Thanks for your time and we look forward to becoming your preferred commercial roofing company in Orange County. You can call us at (714) 214-6567 or email us your inquiry by completing the form below. 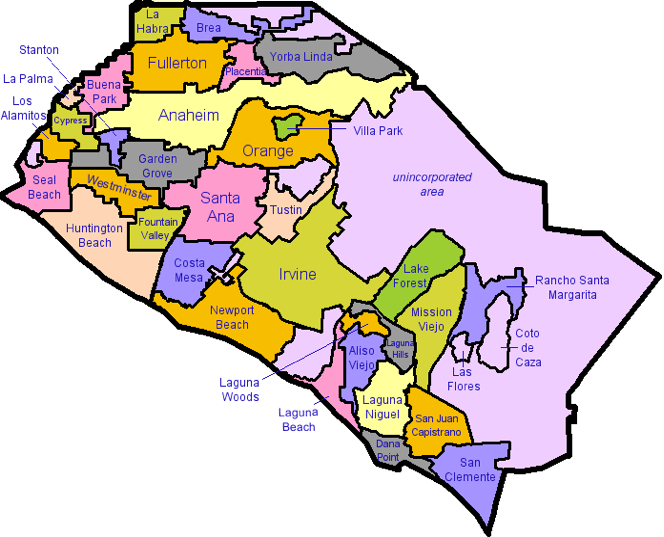 Laguna Hills, Aliso Viejo and Huntington Beach.